 Scotia Security Shredding has various sizes of attractive and lockable document shredding bins for clients to keep at their place of business – for free! 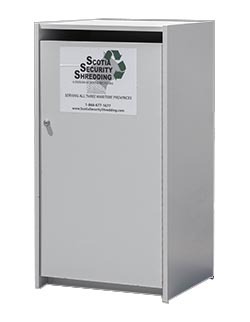 This secure shredding bin will blend into any office environment, and is designed for an office that wishes to maintain a professional image. This extension of the original executive model features a second, larger access point to load material for areas of the office that produce higher volumes of sensitive documents. 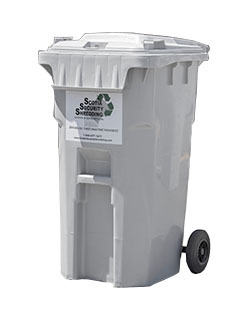 This secure shredding bin is perfect for a small to medium-sized office. 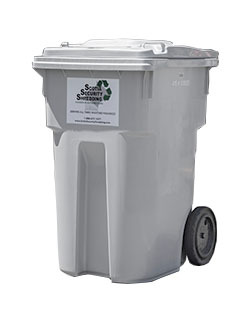 It is small enough to easily fit in most spaces, but large enough to hold a substantial amount of material. 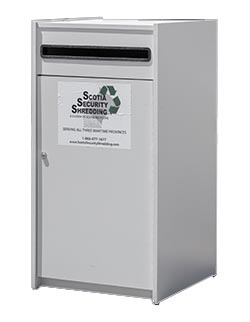 This secure shredding bin was designed to fit in any small to medium-sized office and is able to store a large amount of material.